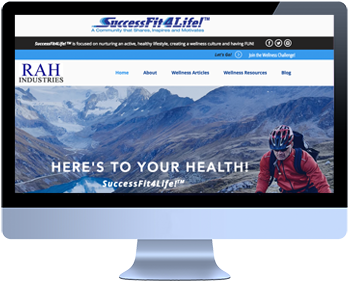 This custom branded website is the hub for SuccessFit4Life! It features links to wellness articles and resources. Research shows that wellness programs are most effective when a core of people are engaged. We have included a blog on this website. 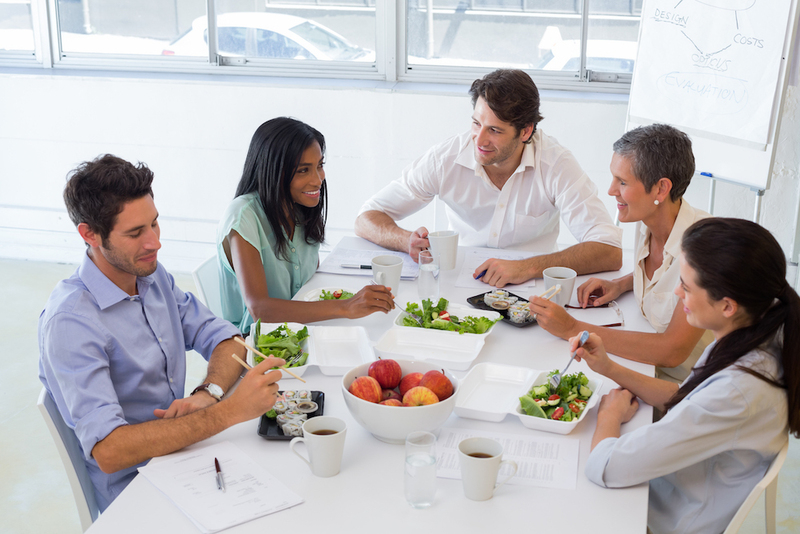 In organizations of any size, there will typically be a few who are active that will appreciate the opportunity to encourage people on their wellness journey. Ongoing wellness program research notes that benefits include: Enhanced recruitment and retention of healthy employees. Reduced healthcare costs. Decreased rates of illness and injuries. Reduced employee absenteeism. 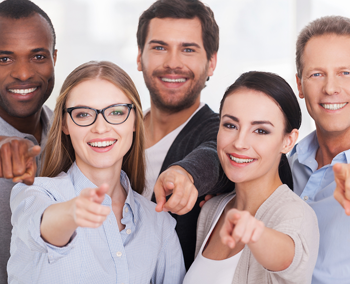 Improved employee relation and morale. Increased productivity. 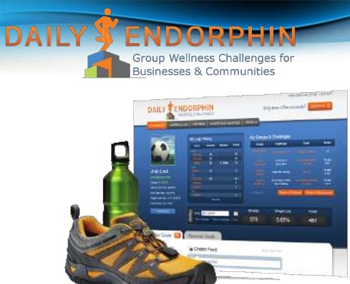 We chose to use DailyEndorphin on the wellness challenge component of this program. This platform enables you to easily collect data, track progress, report on results and list rankings. This program is fully customizable, integrates with popular tracking platforms, is simple to use and very cost effective! These EVENTS promote wellness, raise awareness for businesses and organizations, create goodwill in your community and raise funds for the worthy cause of your choice. Typical fundraising events can be costly to produce taking away funds from the cause that everyone wants to support. In addition, the event sponsors recognition ends when the event is over. SuccessFit4Life! EVENTS enable a sponsor’s brand message to live on long past the event through useful branded products. Attendees will appreciate the collection of quality products they will receive for supporting the cause. a wellness culture through SuccessFit4Life! Learn how you will benefit from the SuccessFit4Life! WELLNESS PROGRAM.